A technical case going through the Supreme Court in India is being carefully watched by aid agencies and other human rights organisations, who claim it could have severe consequences for the supply of lifesaving drugs to the developing world. More than 90% of drugs used to treat children with AIDS in Africa come from Indian generic manufacturers, according to the medical NGO Medicins Sans Frontieres. And if the Swiss pharmaceutical giant Novartis wins a case it has brought against the Indian government, MSF fears that supply could dry up. 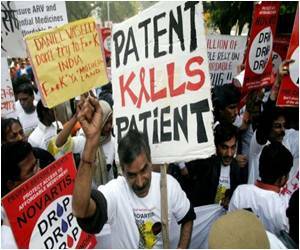 Novartis is seeking patent protection for its leukaemia drug Glivec, whose patent has expired in India. It is challenging India’s interpretation of a section of the nation’s patent law — Section 3(d) — which prevents ‘evergreening’.